We do love to take care of our fingernails—at least aesthetically speaking. Americans spend nearly a billion dollars per year just on nail polish, let alone other accessories and materials needed to polish one’s nails at home (think quality remover, top coats, base coats, cotton pads or balls, so on). We spend millions more on salon treatments to keep our nails looking great. There is a problem with this general line of thinking, however. While we may think of our nails as an accessory to match with our outfits and handbags, there’s a reason we have these nails—and it’s not for ornamental value. Biologically speaking, our fingernails are a part of an important system in our bodies known as the integumentary system. This whole organization of cells in our body includes our skin and nails, and their main function is to protect our bodies from trauma. This means our nails are much more important to us than just how they appear, and our nails can be a good indication of our overall health. Please check out our list below to gain a better understand the ways how nails function in our health and how they may indicate certain problems. NOTE: This is in no way medical advice. Please talk to your physician if you suspect your nails may reveal a health condition, as only they are qualified to give diagnoses and confirm or deny possible problems with your nails—and they can also give treatment to correct whatever issue there may be. There are many reasons that a person’s fingernails may take on a slight or quite yellowish hue, with one of the main culprits being nicotine staining. Yes, that habit you have been meaning to kick is not only bad for your respiratory and circulatory systems, it can cause discoloration of skin and nails. If your nails are yellow and also very thick, you might have a fungal infection. Okay, there are also a lot of reasons that your nails could be in this condition. The far more common causes of nails that are dry, cracked, brittle, etc., has a lot to do with lifestyle. If you spend a lot of time washing with commercial cleansers, for instance, these harsh detergents can seriously dry out and damage the nail. It’s also possible that this has come from using low-quality products such as nail polish and nail polish removers, especially. However, it could also be traced back to vitamin deficiency—better check that out with your doctor! I don’t know about you, but when I was a child, we always said that these little white bits in our nails meant we had told a lie! Of course, this is not true. Now we know that the most common cause of these totally harmless spots have more to do with minor trauma to the nail. They will fade or grow out on their own and will not hurt you. Proper nail care is something we have touched on time and time again on our website in order to make information available to you to let you know that we care. Another reason we may harp on this issue a lot is that sometimes our fingernails really are trying to tell us that, ‘Hey, there’s something wrong!’. It is important to keep a lookout and pay attention to the signals your nails give you, just like you would if you developed a cough or a pain somewhere else in your body. Most questions have a simple answer, but it is always worth seeking the advice of a medical professional to make sure that everything is copacetic. 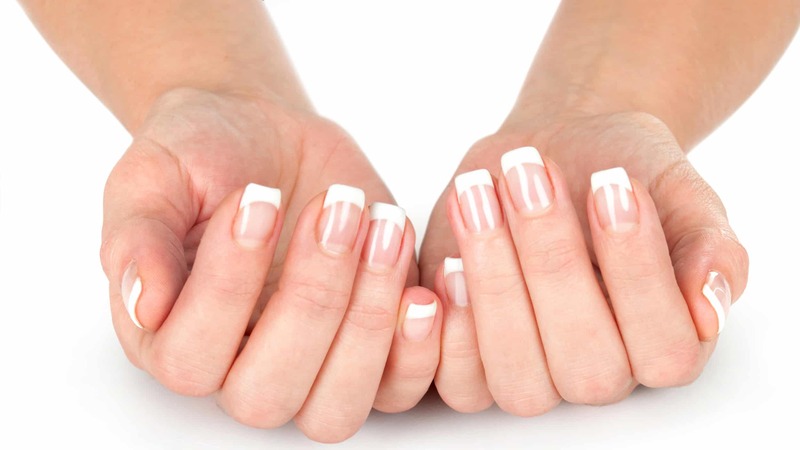 At Gem Nail Spa in Fort Worth, we may not be able to offer medical advice or confirm or deny any possible healthcare issues your nails may be indicating, but we pride ourselves on looking out for you and all of our customers. Our staff will notify you of any significant changes to your nails and will always be on the lookout for any of the typical warning signs that something may not be all right. When you come to our salon, you can rest assured that you will receive top quality service from caring individuals that take your beauty, self-esteem, and health very seriously.